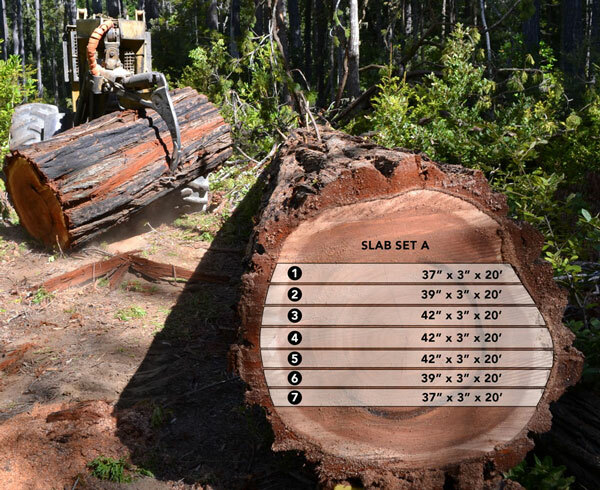 These unique and rare old-growth redwood slabs come from a 400 year-old tree, logged in an eco-sustainable fashion by a private Mendocino Coast land-owner who selectively logged the tree from a transitional zone on the edge of the Pygmy forest. The mineral-rich soil of the Pygmy results in wood that is sought after for its special coloring and streaky, dark hues (most redwood is lighter, more pale, and uniform in color). 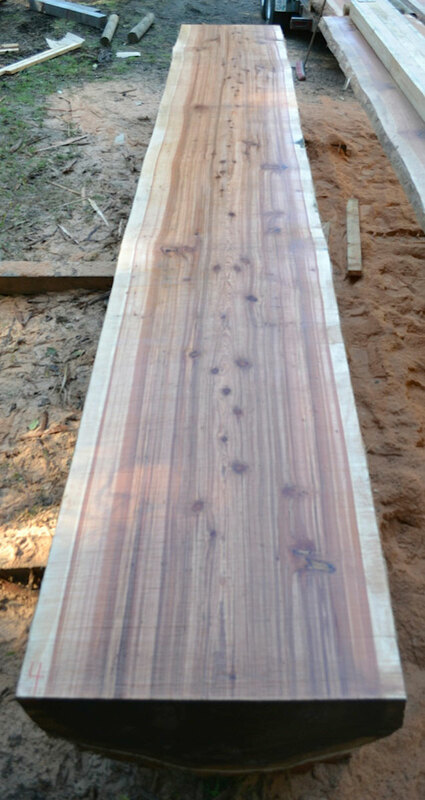 This wood features tight growth rings and only small knots (none loose). Slabs may be kiln dried for an additional fee. Prices for cut length/shorter slab available upon request. Purchase requires cash or credit card (3% fee) only. Wood may be picked up in Mendocino or global delivery may be arranged for an additional fee. Interested in additional stock? Contact us for sourcing upon request.